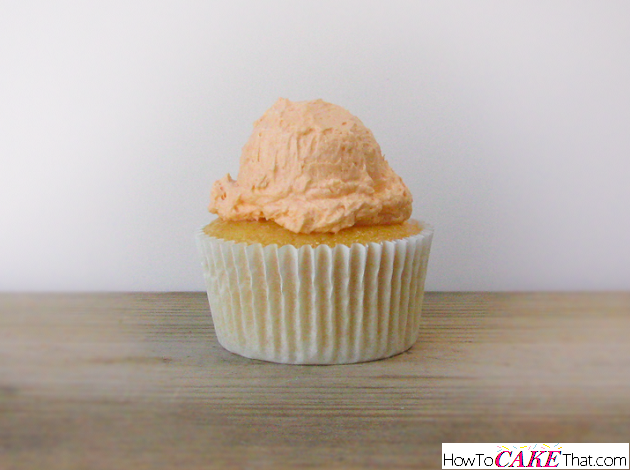 If you love orange creamsicle pops, then you'll LOVE this frosting!! It has the same delicious orange flavor of the popsicles I had when I was a kid! 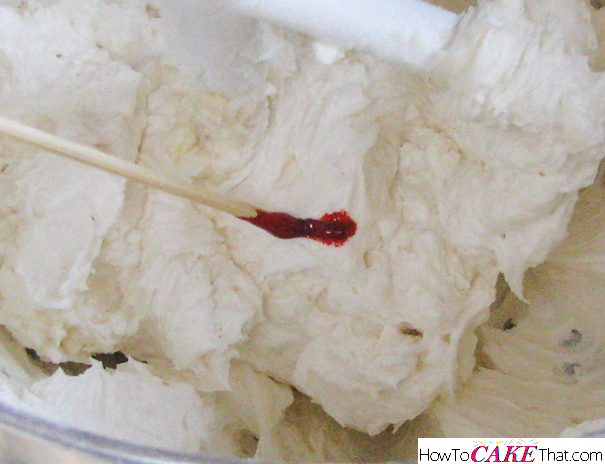 This recipe is using the American style frosting base, so it is very sweet. This recipe also uses heavy cream as the liquid ingredient, so it is a thick and creamy frosting. I hope you enjoy!! To begin this recipe, add 1/2 stick (2 ounces) of salted butter to the mixing bowl of a stand mixer (or another bowl suitable for a hand mixer, if using). 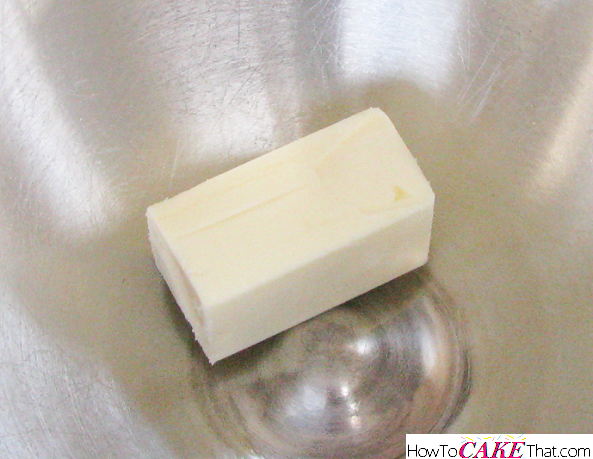 Next, add 1/2 stick (2 ounces) of unsalted butter to the bowl. 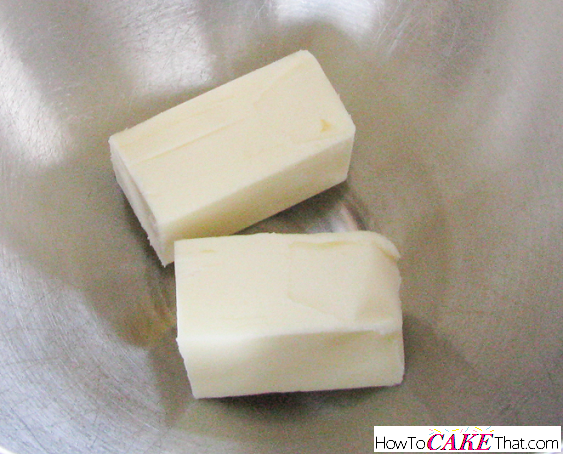 Note: if you prefer not to use shortening, just add 1/2 cup of unsalted butter instead. Note #2: Do not use Crisco. It may leave a filmy aftertaste. 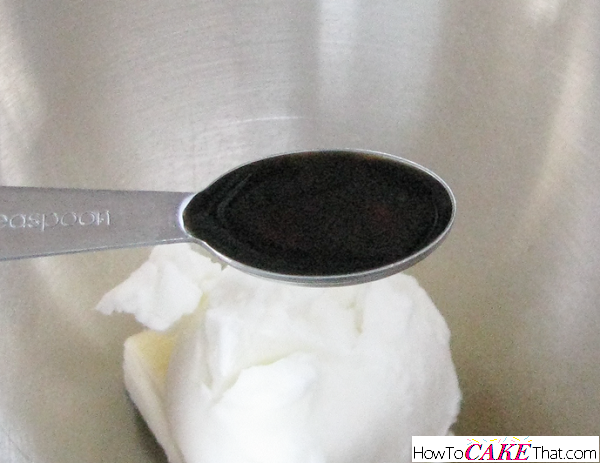 Next, add 1 1/2 teaspoons of vanilla extract. 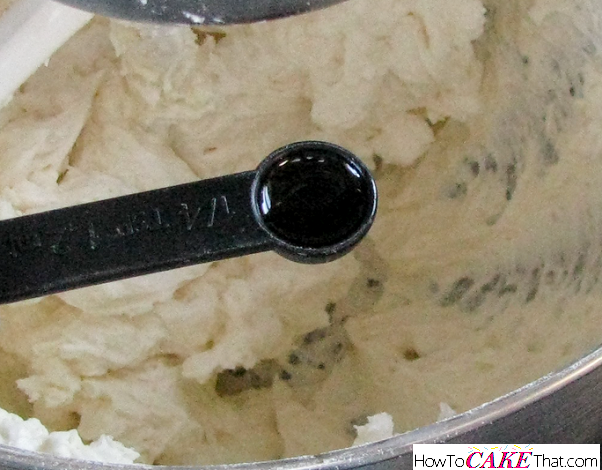 Using the paddle attachment (if using a stand mixer), blend ingredients together on low speed. Next, add 1/2 teaspoon of LorAnn Oils natural Orange Oil to the bowl. For a less intense creamsicle flavor, feel free to just use 1/4 teaspoon. Note: LorAnn Oils is a powerful candy flavoring found in the candy making section of most candy and cake decorating supply stores. I usually purchase my flavorings from Michaels Craft store or my local cake decorating supply store. 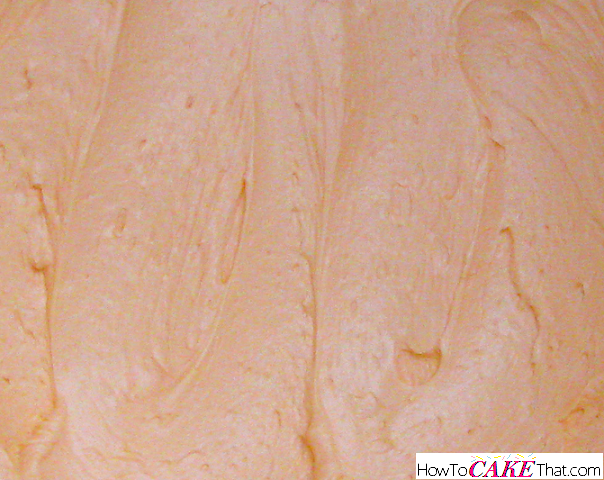 Color your frosting a creamsicle orange color by using Wilton's gel color in Orange. 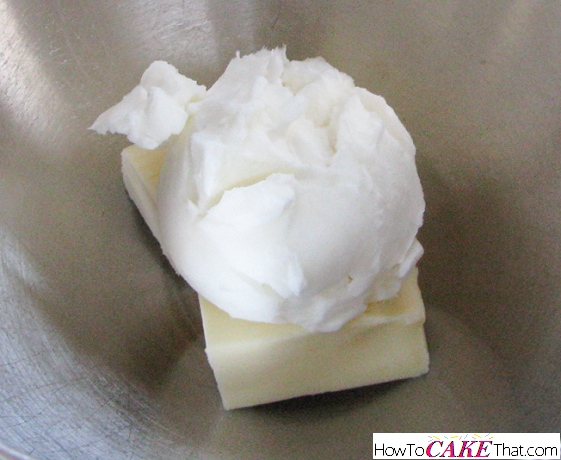 Mix all ingredients on high speed for 3 to 4 minutes, until frosting increases in volume and appears fluffy. And that's how you make this yummy creamsicle frosting!! I hope you have enjoyed this tutorial! God bless! !